Our foundation helps the hospital provide better quality care for our families, friends, and neighbouring communities. We’re well on our way. Our fundraising efforts are towards the purchase of a CT Scan. We have currently raised a total of $1700000 towards our $1700000 target! Click here to see what the foundation and your donations have done to help the hospital. Read our donors’ testimonies on why they chose to donate to the Notre-Dame Hospital Foundation. Is your name on the wall? Find out how adding your name can help the Notre-Dame Hospital. Learn about local initiatives established by the Hearst and surrounding communities. 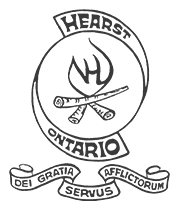 Our mission is to raise and manage funds to fully support the Notre-Dame Hospital in its quest to provide outstanding care and medical excellence to those who live and work in the Hearst area.